Village Walk #17 now available for rent. 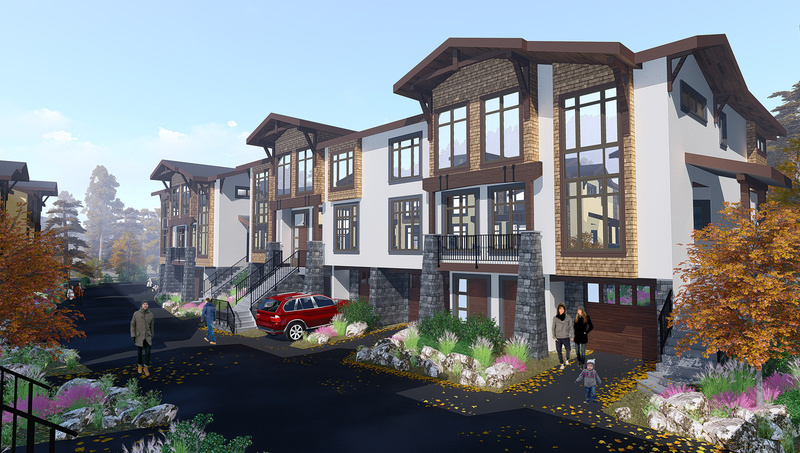 Property Sales Are Soaring At Sun Peaks Resort And The Village Walk Sun Peaks Townhouse Complex Is already sold out. 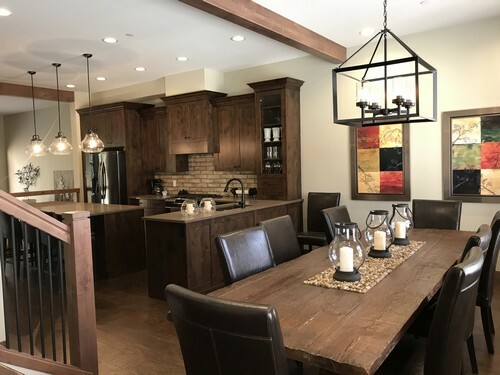 We are thrilled to now be able to offer a Village Walk townhouse as a Sun Peaks Vacation Rental by owner - new luxurious, luxurious upgrades and conveniently located. See Village Walk #17 for vacation rental details. When we first built our Sun Peaks Real Estate page back in May of 2015 (not that long ago!) and talked of how we thought it was a great time to buy a property at Sun Peaks, a very unfriendly Sun Peaks local sent us a nasty email message saying we were full of rubbish and what do we know about real estate. Well, we are very pleased to say, that as of June 27, 2016, the year-to-date real estate sales at Sun Peaks Resort have doubled those of the same period of previous year, and the value during that 6 month period nearly matches the entire sales volume of the whole previous year. And since June, 2016, sales of all types of Sun Peaks properties have continued to soar, with many being sold immediately upon listing at sales values higher than list price. In fact, demand is completely outstripping the supply of available products and many interested buyers are leaving empty handed. 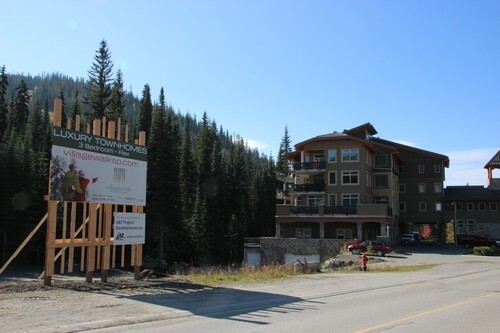 Sales of properties at Sun Peaks have continued to increase with no end in sight. Record skier visits to the resort as well as one of the strongest seller’s markets in their history started in 2016 and show no signs of slowing down in 2017. Many people from across Canada, the US, and even in Europe, Australia and New Zealand have contacted us via our real estate page and we have had their name placed on waiting lists with a Sun Peaks realtor. The regular promotion of Sun Peaks Resort as a conveniently located, year-round, family friendly ski resort with the resulting steady increase in visitors to Sun Peaks; the decline of the Canadian dollar in comparison to many other currencies; the increase in people wanting to enjoy an active outdoor lifestyle; the increase in families who choose to move full-time to Sun Peaks; and the inflow of people cashing in on the incredible real estate market in the lower mainland, have all combined to create a bit of a housing crisis at Sun Peaks. And finally, after a long building absence of suitable multifamily units, thrilled owners are beginning to move into this brand-new, 24 unit, 3 bedroom + flex room, aprox. 2,500 square feet, luxury townhouse complex next door to the Kookaburra Lodge. Some with beautiful views and all with convenient, easy access to the village, new skating rink, pool and valley trail network, and with such a pent-up demand, these Village Walk Sun Peaks townhouse units are expected to be snapped up very quickly. 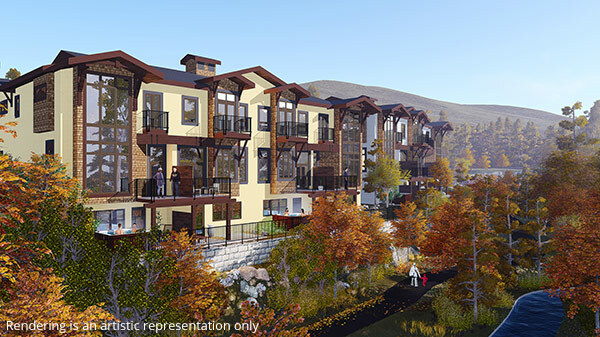 Village Walk Sun Peaks is being built by A&T Ventures from Kamloops who has built in Sun Peaks before - SOLD OUT. And if you need assistance with getting a mortgage for your Sun Peaks property, we have an experienced broker that can help there too. 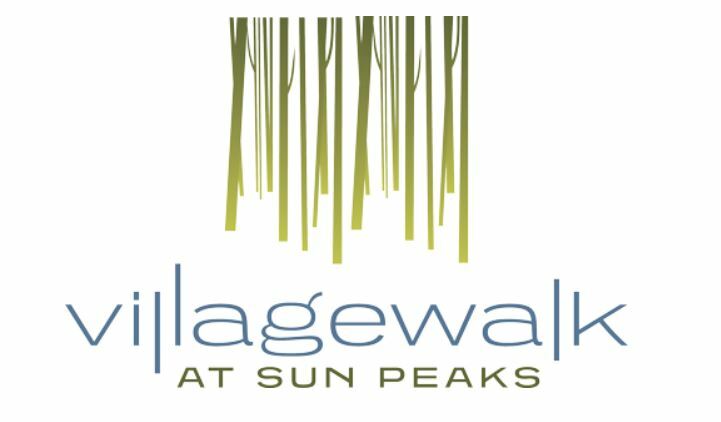 If you’re even slightly interested in a property at Sun Peaks, either in VillageWalk, the new Echo Landing development (ALSO SOLD OUT NOW), the recently announced Peaks West, or elsewhere in and around Sun Peaks, register now for more information from a Sun Peaks Realtor.